What does philosophy have to teach us today? Specifically what does the Platonic tradition of Al-Farabi, Al-Ghazzali, and Maimonides have to offer? For these philosophers, the highest human good is philosophic contemplation, but to attain the highest perfection one must first create the virtuous society. To do this, one needs to ask major questions of justice, ethics, and religion. Carlos Fraenkel holds a joint appointment in the Departments of Philosophy and Jewish Studies at McGill University where he is also a William Dawson Research Scholar and the Chair of Jewish Studies.” He grew up in Germany and Brazil and studied in Berlin and Jerusalem. He has written on philosophers such as Plato, al-Fârâbî, al-Ghazâlî, Maimonides, and Spinoza. 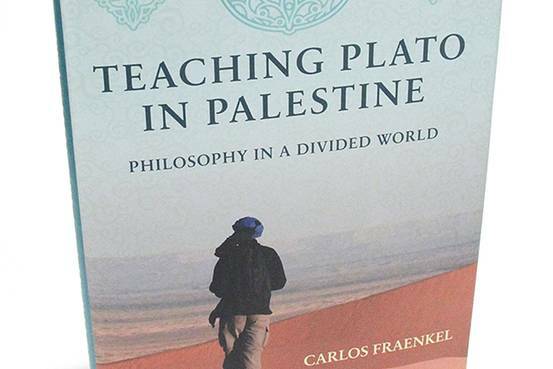 Most recently, he wrote Teaching Plato in Palestine:Philosophy in a Divided World, bringing these philosophic questions of the Platonic tradition to places of social conflict. Fraenkel’s first book From Maimonides to Samuel ibn Tibbon: The Transformation of the Dalālat al-Ḥāʾirīn into the Moreh ha-Nevukhim was on Samuel ibn Tibbon, the translation of Maimonides’ Guide of the Perplexed from Arabic into Hebrew, who also produced the first Hebrew versions of Aristotle and Averroes. Samuel ibn Tibbon was the bane of kabbalists such as Yaakov bar Sheshet who felt he substituted philosophy for the mysteries of the Torah. Ibn Tibbon was known in the Maimonidean controversies as considering Genesis as meteorology and as thinking that knowledge of God was impossible. Frankel’s work showed that despite Ibn Tibbon looking to Maimonides as his guide, he felt compelled to differ on many points. Frankel’s second work Philosophical Religions from Plato to Spinoza: Reason, Religion, and Autonomy (Cambridge UP) was an instant classic, a wonderful exposition of the history and argumentation of philosophic religion. He shows how they argued that God is Reason and that the historical forms of a religious tradition serve as philosophy’s handmaid to promote the life of reason among non-philosophers. People have an imperative to develop their minds and religion cannot be in conflict with this imperative. If one seeks the philosophic truth offered by the medievals, where does religious truth fit in? This question used to be called the double truth question of having two competing sources of truth. For Saadayh Gaon, philosophic truth and religious truth are one in that the masses gain truth from revelation, on the other certain Averroists held that philosophy was the only truth and religion was just for the masses. Frankel is the best articulation of the philosophic religion of those who see philosophy itself as the goal of religion; the book is an essential tool for teaching. His introduction to the book is especially valuable to read. He wants to tackle big questions: Does God exist? Is piety worth it? Can violence be justified? What is social justice and how can we get there? In the course of the discussions, different viewpoints often clash. That’s a good thing, Fraenkel argues, as long as we turn our disagreements on moral, religious, and philosophical issues into what he calls a “culture of debate.” Conceived as a joint search for the truth, a culture of debate gives us a chance to examine the beliefs and values we were brought up with and often take for granted. It won’t lead to easy answers, Fraenkel admits, but debate, if philosophically nuanced, is more attractive than either forcing our views on others or becoming mired in multicultural complacency—and behaving as if differences didn’t matter at all. The book Teaching Plato in Palestine is an enjoyable quick read. I found the weakest part was the discussions with Ex-Hasidim who seemed not ready for book knowledge, let alone philosophy. They thought that philosophers teach hedonism not justice, virtue, and contemplation. Some of the best parts were debates of justice in Al-Quds or his general framing discussions around the tension of inherited knowledge (taqlid) as opposed to philosophic understanding. For those readers with no background in Maimonides or those who want to read an approach both Orthodox Jewish and Straussian, see our posts by Kenneth Green where he presents many basics- here, here, and here. 1) What is philosophic religion? When I first turned to pre-modern philosophy I was both puzzled and intrigued by thinkers who combined an uncompromising rationalism with strict religious observance. In a sense the book is an attempt to solve what then seemed like a paradox to me. Since the Enlightenment critics of religion claim that religion is an obstacle to the emancipation of reason. Instead of knowledge, religion promotes ignorance in form of fables and superstition. Instead of autonomy it preaches submission to God by rousing irrational fears of punishment and hopes for reward. If we chose to follow reason, religious beliefs and practices have no place in our life. To proponents of philosophical religion these criticisms would sound strange. The projects of reason and religion, they hold, cannot be meaningfully distinguished at all. The core purpose of religion is to direct us to a life that is guided by reason towards the perfection of reason. For the best and most blissful life is the life of contemplation, culminating in knowledge of God. God himself, they argue, is the perfect model of this life. Being pure Reason, he eternally knows and enjoys the truth, unencumbered by hunger, pain, ignorance, and other afflictions that come with being embodied. The task of religion is to make us as much like God as possible. Plato marks the beginning: laws, he contends, are divine if they direct us to “Reason who rules all things.” The same idea is still echoed in Spinoza: While human laws aim only at prosperity and peace, divine laws aim at “the true knowledge and love of God” (though note that Spinoza’s God isn’t just thought, but also extension and an infinite number of other things that we don’t know). At first view a philosophical religion doesn’t seem to have much in common with the historical forms of religions like Judaism, Christianity, and Islam. How can it accommodate their laws, stories, exhortations, and practices of worship? And how does the concept of God as Reason square with the God of Scripture who speaks, gives laws, performs miracles, gets angry, has mercy, and so forth? Proponents of philosophical religion reply that, alas, not everyone is cut out for the philosophical life. Hence prophets must put a pedagogical-political program in place that can offer guidance to non-philosophers. This program’s role is to serve as philosophy’s handmaid. It establishes beliefs, practices, and institutions that imitate philosophy to give non-philosophers a share in the perfection that philosophy affords. On this picture, the difference between the philosopher and the prophet comes down to this: while both have knowledge of the good, the prophet is also an accomplished legislator, poet, and orator, skills that allow him to convey the good to non-philosophers and motivate them to do it. Think of a doctor’s prescriptions for a healthy regime and the reasons he gives for following these prescriptions. This is what a religion’s laws and narratives are like. Now, in my view Maimonides is a paradigmatic proponent of philosophical religion in the Jewish tradition. This said, there are a number of distinctive features in Maimonides, for example his skepticism and his view that over time one can gradually disclose more philosophical content to non-philosophers. And of course my strictly rationalist interpretation of Maimonides is contested. 2) What was the unique goal of your project in the book Teaching Plato in Palestine? The project had really two main goals, but let me first say a couple of words about what I actually did. Over the past few years I’ve organized philosophy workshops in various hotspots around the world: with students at Palestinian and Indonesian universities, lapsed Hasidic Jews in New York, teenagers in mostly poor neighborhoods in Brazil, and an Iroquois community on the border between Canada and the US. These are all places fraught with conflict–different kinds of conflict: Israel and Palestine, Islam and the West, religious orthodoxy and urban modernity, social and racial divisions in Brazil, the scars of colonial history, and so on. Now, these conflicts raise fundamental questions: Does God exist? Is piety worth it? Can violence be justified? What is social justice and how can we get there? Who should rule? What does political self-determination require? So one goal of the workshops was to show by example that philosophy is useful to articulate such questions more clearly and to explore and refine answers to them. Now, unsurprisingly viewpoints often clashed in the discussions. My interlocutors disagreed with me, but also among each other. A second aim of the workshops was to show that such clashes are a good thing–as long as they don’t turn into violence but fuel what I call a “culture of debate”: an intellectual space for debating issues we deeply care about, but also deeply disagree on. The widely differing cultural and religious backgrounds of my interlocutors allowed me to test this idea on the ground. In early 2000 when I was finishing my PhD dissertation on medieval Arabic and Hebrew philosophical texts, I felt the need to brush up on my Arabic, so I went for three months to Cairo where I worked with a private teacher, but also organized a kind of informal language exchange with Egyptian students who were keen to practice their English. As we got to know each other better, we also became concerned about our very different ways of life. They wanted to save my soul from eternally burning in hell by converting me to Islam. I wanted to save them from wasting their real life for an illusory afterlife by converting them to the secular worldview I grew up with. They would argue that betting on Islam would get me a three-in-one deal, because Muslims also believe in the God of Jews and Christians, to which I’d reply that unfortunately I don’t believe in God at all. In one of these discussions the question came up if one can prove God’s existence. The question took me by surprise. In the academic and social circles I normally move in that’s not something I often get asked. I argued that one cannot prove God’s existence; they offered a proof. I pointed out a flaw in their reasoning; they came up with an improved version. The discussion ended inconclusively. Here I found myself having–and greatly enjoying–a philosophical conversation with people who had no formal academic training in philosophy. So I wondered if philosophy can be relevant to real life concerns, if one can embed it in the discussions people are already having to help them tackle questions they’re anyway grappling with. I also realized that I hadn’t properly thought through some of my most basic convictions–from my atheism to my idea about how to live. So I wondered again: Aren’t debates across cultural and religious divide a great opportunity to test our beliefs and values? I should add that by philosophy I don’t mean grand philosophical theories like Marxism, existentialism and the like, but something very simple: philosophical techniques–logical and semantic tools that help us clarify our views and make and respond to arguments. Also needed are philosophical virtues–loving the truth more than winning an argument and trying our best to understand the viewpoint of the opponent. 3) How was your goal different from Mortimer Adler’s great books idea or Michael Sandel’s teaching justice? I think there are many differences between my project and Adler’s or Sandel’s. For one thing their selection of texts betrays a certain intellectual provincialism. Good arguments can be found in lots of texts outside the traditional Western canon–Muslim, Jewish, and obviously also Indian, Buddhist, and so forth. In the Iroquois community, for example, I read parts of a captivity memoir by James Smith, an American soldier captured by the Iroquois in 1755. He writes about an intriguing debate about the good life that he witnessed in the community where he was held captive: while everyone agrees that a good life is both happy and God-pleasing, there is much disagreement on what that means. One group argues that since God has endowed us with natural desires, he must be pleased when we satisfy them. That, in turn, makes us happy. A second group objects that when we follow our natural desires, we often do harm to ourselves and others. Hence suppressing them is what pleases God and makes us happy. Finally, a third group proposes a middle position: satisfying our natural desires pleases God and makes us happy as long as we do no harm to ourselves and others. My project also differs from Sandel’s in the sense that he limits himself to moral and political philosophy. There are good reasons why academic philosophy is divided into sub-disciplines that people specialize in, but once you leave the confines of academia things become intellectually “messier”–moral and political questions often interlock with metaphysical and epistemological ones. With my Hasidic students for example, we moved from discussing their loss of faith to a discussion of whether there are any reliable sources of knowledge. The senses? The intellect? Can we avoid absolute skepticism? I’m not planning to write a text book for the project, but if I were to write one it would likely have two main components: a kind of logical and semantic propaedeutic (the philosopher’s “toolkit” as it were) and a selection of texts that illustrate philosophical questions, arguments, and puzzles that emerged in a wide range of different cultural and religious settings with brief introductions to contextualize these texts in their time and place. To do that competently I’d have to team up with other scholars, for example a logician and a scholar of Eastern intellectual traditions. It depends on what you mean by success. Most of the discussions I had remained inconclusive, but I think many of my interlocutors saw the purpose of the exercise and enjoyed taking part in it. It is true that my Hasidic students started out with the assumption that an honest and consistent rationalist is also a hedonist and a secularist (they had of course read Maimonides–partly in secret–but they interpreted him intuitively in a “Straussian” way: as being deceptive when he defends religious doctrines). So they were quite surprised to find Plato portraying Socrates in the Apology as a pious man. Not only is his philosophical enterprise presented as a divine mission (triggered by the oracle of the god Apollo), but he chooses Kiddush Hashem over disobeying God’s command and giving up philosophical examination! To explain Socrates’ puzzling piety one of the students suggested that “may be he died too early.” At first I didn’t get what he was trying to say. Then he explained that he himself hadn’t lost his faith all at once, but layer after layer. 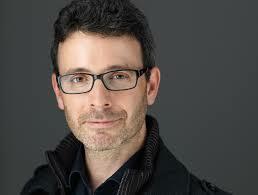 It started with doubts about the things the rabbis in his community taught. So he went back to the rishonim. But they also said things that he felt didn’t add up. So he went back to the Talmud. In the end, all he was left with was the Bible. For a while he was proud to rely only on the true divine source while everyone else was being misled by false human interpretations. When he finally lost trust in the Bible as well, it was as if the ground had broken away under his feet. . So his suggestion was that if Socrates had lived longer, he also would have gotten to this nihilistic stage. Now, I don’t think that seeing that rationalism doesn’t entail atheism or hedonism is a small achievement. We discussed, for example, the similarity between Nietzsche’s concept of self-discipline which is required to increase one’s power and Rabbi Schneur Zalman’s distinction between tevaʿ (nature) and hergel (habit). The idea here is to reshape your nature through habituation: getting rid of features that prevent you from attaining your goal and acquiring features that help. The only thing Nietzsche would disagree with is the goal itself, which for the Alter Rebbe is, of course, avodat ha-Shem. But he certainly agrees that we need to subjugate our petty, human-all-too-human lusts and fears to turn our lives into something valuable. 5) What is Taqlid? Why is it an important concept to discuss in religious settings? I borrow the notion of “taqlid” from al-Ghazali. It’s not easy to translate, but it means something like naive beliefs, beliefs that haven’t been adopted on the basis of deliberation or examination, but on the basis of the “authority of parents and teachers” as al-Ghazali puts it. In other words: the contingent circumstances of our socialization: education, media, marketing, political and religious ideology–whatever shapes our beliefs without having been subjected to critical scrutiny. Often people hold the beliefs they were taught by parents and teachers with deep conviction, but that obviously doesn’t entail that they are actually true. Just consider the bewildering diversity of beliefs, held with great conviction across different times and places! What, then, are the odds that our beliefs are the correct ones? So the uncritical acceptance of beliefs we’ve internalized in the course of our socialization–i.e. the state of taqlid–is an obstacle to attaining the truth: it is a state of unjustified confidence in beliefs that very likely are incorrect (of course it isn’t impossible that the beliefs a person happens to have been brought up with are also true, but it is arguably very unlikely and at the very least uncertain). I illustrate this with the example of al-Ghazali who in his intellectual autobiography, the Deliverance from Error, describes the crisis of faith he went through as a young man when he realized that he would have been just as fervent a Jew or Christian as he used to be a Muslim, had he been brought up in a Jewish or Christian community, i.e. when he realized that his commitment to Islam wasn’t well founded, but the outcome of the accidents of his socialization. Much of the remainder of his intellectual autobiography is devoted to an account of his quest to rebuild his faith in Islam. A religious person who values the truth arguably has a strong incentive to move beyond taqlid. On the other hand, we rely on taqlid all the time in day-to-day life. We couldn’t live without taking lots of things for granted. Even when it comes to moral values, we often may want to rely on taqlid to some extent. Let’s say I want to make consumer choices that are socially and ecologically responsible. I for one would be most grateful if I didn’t have to figure it out on my own for every product, but could rely on a government sponsored commission of experts that labels things “green,” “yellow,” and “red” for example according to social and ecological criteria. And some people may not even want to think through the fundamental metaphysical, epistemological, and moral assumptions that underlie their way of life and worldview. So here the question of securing trustworthy guides becomes important which raises the issue of intellectual elitism. 6) Are you in favor of Platonic elitism? No, I’m not in favor of Platonic elitism. I’m less pessimistic than Plato about the possibility of democratizing philosophy. Plato looked back on Socrates’ fate who was executed for trying to turn all citizens into philosophers. Athenians didn’t thank him for guiding them to the examined life, but accused him of spreading moral corruption and atheism. And Plato concurs: Socrates failed because most citizens just aren’t philosophers–they’re unsuited to philosophy by nature. To make them question the beliefs and values they were brought up with isn’t useful because they cannot replace them through examined ones. I wonder, though, if citizens had been trained in dialectic debate from early on, wouldn’t they have reacted differently to Socrates? At the same time I think that even if making philosophy part of our personal and public life were to become a policy goal, there would still be plenty of people who for lack of inclination, time, talent, or whatever may not be interested in integrating the practice of philosophy more deeply into their lives, not to mention of course that we are all born as non-philosophers and in need of guidance. So some of Plato’s observations remain relevant. For Jewish philosophers, intellectual elitism played a crucial role: it allowed them to integrate their religious tradition into a philosophical framework. Perfectly rational beings such as God and angels, who were conceived by Jewish philosophers like Maimonides and Gersonides as incorporeal intelligences, don’t need the Bible or the Talmud to live a good life. The same may be true for the occasional accomplished philosopher (Philo of Alexandria describes the patriarchs as “living laws”–their reason prescribes to them what Moses will later legislate, so they don’t need the actual material document to live according to it). But most human beings are to a greater or lesser extent imperfectly rational (in fact, all human beings are so as children). So they need pedagogical-political guidance. And Jewish philosophers interpreted the narrative, legal, and institutional contents of the Jewish tradition as precisely such a pedagogical-political program that offers guidance to imperfectly rational human beings. And they explained them on the basis of this assumption–as if they’d been put in place by religious leaders who were also great philosophers to guide non-philosophers toward a philosophically established concept of the good. 7) What is the secular value and importance of studying medieval religious texts? There are many things that fascinate me, as a secular person, in medieval texts: the seriousness and sophistication with which the great questions were debated–from God’s existence and nature to good politics and how one should live. I also continue to find the “heroic” concept of philosophy intriguing: the conviction of philosophers from Plato to Spinoza that philosophy can be a guiding, as well as a consoling science, the basis for succeeding in our personal and political lives. This said, I find attempts to revive this kind of philosophy utterly unconvincing (and I say this with some regret). The idea of organizing our personal and political lives around the ideal of contemplation that brings us closer to Divine Reason, the ultimate standard of the good, makes no sense to me because the concept of Divine Reason makes no sense to me. The same holds for claims such as that we shouldn’t feel sad if something bad happens to us because once we look at it from the point of view of Divine Reason we’ll see that what we perceive as bad really is a means to promote the universe’s overall good (I apologize for drastically simplifying complex arguments here). Plato argues in the Timaeus that we attain “the most excellent life offered to humankind by the gods” if we “learn the harmonies and revolutions of the universe, and so bring into conformity with its objects our faculty of understanding.” The assumption is that the natural order expresses Divine Reason. By understanding it we come closer to the divine which is the best state human beings can be in and which thus should be the goal of our personal and political lives. I don’t see a way of defending this sort of view. To me it seems that the metaphysical foundation of this “heroic” concept of philosophy is irretrievably lost. I just don’t believe that Divine Reason is running the universe. 8) Can you be more specific about a secular reading of Maimonides? What I find most relevant to contemporary concerns in medieval texts is the hermeneutics of philosophers like Averroes and Maimonides. Let me give you an example. For Averroes and Maimonides the biblical God and the God of philosophy is one and the same. And the best demonstration for God’s existence, according to them, is the physical proof that Aristotle worked out at the end of the Physics and in Book 12 of the Metaphysics. In a nutshell Aristotle argues that motion is eternal and that the instantiation of eternal motion in the universe are the celestial spheres, which eternally move stars and planets around the earth. Since the celestial spheres are finite bodies, they cannot contain the infinite force required to eternally keep moving. And since an infinite body is impossible, the spheres must be moved by an incorporeal mover–that is, God. Apprehending God in this way, Averroes and Maimonides argue, is the highest good for human beings, because the main component of a good life is intellectual perfection, which is acquired through knowledge of the natural order, culminating in knowledge of God. Leaving aside the technical details of Aristotle’s proof, the important point for my purpose is that both Averroes and Maimonides claim that the first to establish God’s existence in this way was not Aristotle, but Abraham! This is precisely the point on which Abraham broke with the star worshipping idolaters of his time: they didn’t understand that the stars and planets require an incorporeal mover and thus took them to be the deity itself. Abraham is, of course, the founding father of both Judaism and Islam. By portraying Abraham as an accomplished philosopher Averroes and Maimonides aim to embed at the very foundation of their religious tradition the beliefs about the world and the good that, upon careful reflection, they came to see as true. It is easy to see why they do this: they are philosophers, but Averroes is also a committed Muslim and Maimonides a committed Jew. Hence they interpret their religious tradition in light of their considered beliefs about the world and the good. Arguably religious people concerned about the truth should do the same: if they are genuinely committed to a religious or cultural tradition, then, to do justice to the truth they take this tradition to embody, they should interpret it in light of their considered beliefs. As Maimonides reinterpreted Judaism in light of the best founded beliefs of his time, religious Jews today arguably should do so in light of the best founded beliefs of our time. To be sure, religious Jews today must contend with the objections of proponents of the historical-critical method for reading religious texts. Also for various reasons not everyone may want to acquire sound beliefs on his or her own. So incorporating sound beliefs into the existing religious and cultural traditions is one way to ensure their wide dissemination. So while secular people likely won’t be able to directly participate in such a “Maimonidean” project, it may well be one that they’d be interested to support.